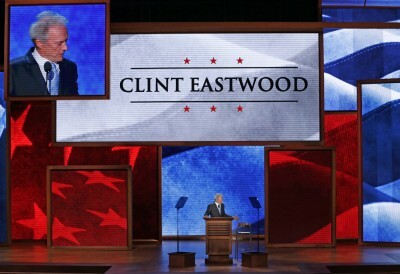 L'”ospite a sorpresa” della convention del partito Repubblicano statunitense a Tampa è stato giovedì sera Clint Eastwood, anche se il suo nome era stato largamente ipotizzato nei giorni precedenti, a partire dall’appoggio per Mitt Romney che Eastwood aveva espresso qualche settimana fa. 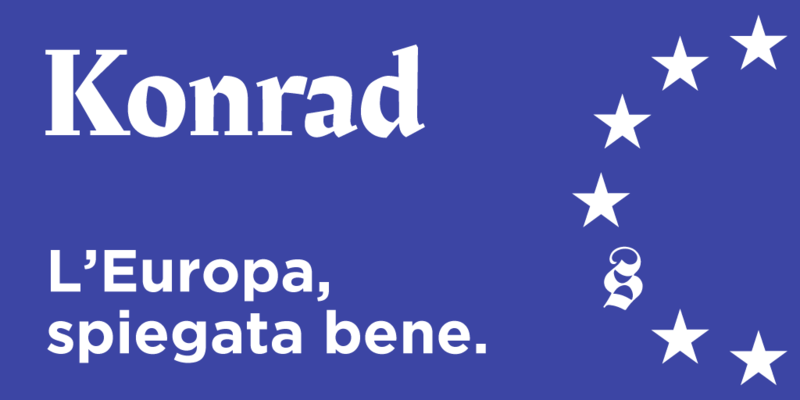 Eastwood, 82 anni, è sembrato fisicamente affaticato ma ha tenuto un intervento non scritto – l’unico della convention – di circa undici minuti, che ha in parte divertito e motivato il pubblico e in parte l’ha spiazzato con toni meno aggressivi e partigiani di quelli a cui è stato abituato in questo contesto, ogni tanto persino incerti. Eastwood ha finto di parlare con il presidente Barack Obama rivolgendosi a una sedia vuota accanto a sé, criticandolo per le poche cose fatte e sostenendo che tutti gli americani dovrebbero “mandare via” chi non fa il proprio lavoro (è stata la battuta che ha infine scaldato il pubblico, a lungo attesa). E limitandosi a dire in due occasioni che Romney dovrebbe prendere il suo posto, ma senza parlare più estesamente del candidato repubblicano. E ha concluso con la celebre battuta del suo personaggio Callaghan: «Go ahead, make my day» (che fu tradotta in italiano con «Coraggio… fatti ammazzare»). Alla fine dell’intervento, l’account su Twitter di Barack Obama ha diffuso una foto del presidente sulla poltrona presidenziale col messaggio “Questa sedia è occupata”. I know what you’re thinking. You’re thinking, what’s a movie tradesman doing out here? You know they are all left-wingers out there, left of Lenin. At least that’s what people think. But that’s not really the case. There’s a lot of conservative people, a lot of moderate people, Republicans, Democrats, in Hollywood. It’s just that the conservative people by the nature of the word itself play it a little more close to the vest. They don’t go around hot dogging it. So, uh… But they’re there, believe me, they’re there. I just think, in fact, some of them around town, I saw Jon Voigt, a lot of people around here in town. So I — so I’ve got Mr. Obama sitting here. And he’s – I just was going to ask him a couple of questions. But, you know about, I remember three and a half years ago, when Mr. Obama won the election. And though I wasn’t a big supporter, I was watching that night when he was having that thing and they were talking about hope and change and they were talking about, yes we can, and it was dark outdoors, and it was nice, and people were lighting candles. And they were saying, you know, I just thought, this is great. Everybody’s crying. Oprah was crying. I was even crying. And then finally – I haven’t cried that hard since I found out that there’s 23 million unemployed people in this country. Now that is something to cry for because that is a disgrace, a national disgrace, and we haven’t done enough, obviously – this administration hasn’t done enough to cure that. Whatever interest they have is not strong enough, and I think possibly now it may be time for somebody else to come along and solve the problem. So, so, Mr. President, how do you, how do you handle, how do you handle promises that you’ve made when you were running for election and how do you handle, how do you handle it?